Retire Rich from Real Estate teaches readers how to buy real estate that will build wealth over time and secure their retirement. It provides specific information on such matters as how to choose prime investors based on demographics; choose properties best for long-term investing; evaluate operating expenses and calculate cash flows; and, manage properties. 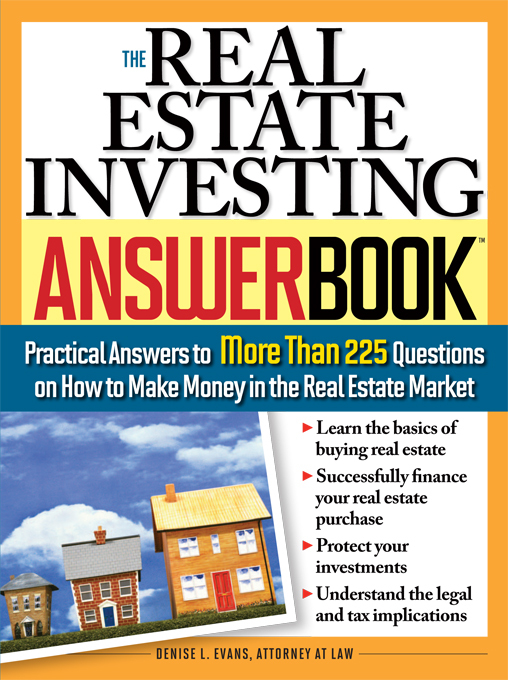 If you are worried about securing your financial future and are thinking about buying your first rental property, then this book is for you. By applying the simple techniques that Retire Rich from Real Estate teaches, you will ensure that you make the right decisions and guarantee that your investing experience will build wealth and secure your retirement.